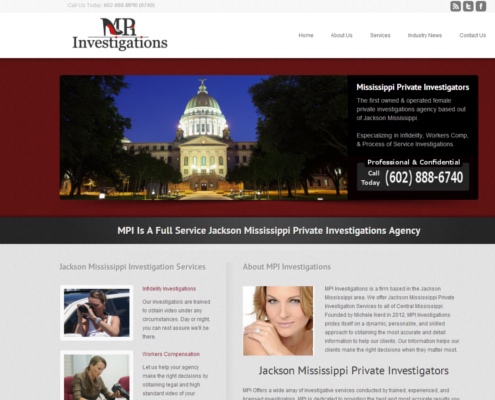 MPI Investigations is a private investigations firm based out of Jackson Mississippi. 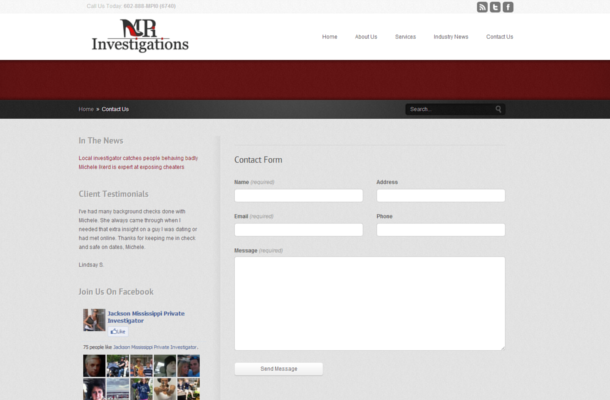 The company was founded by Michele Ikerd, a Florida Private investigator that moved back to her home town. 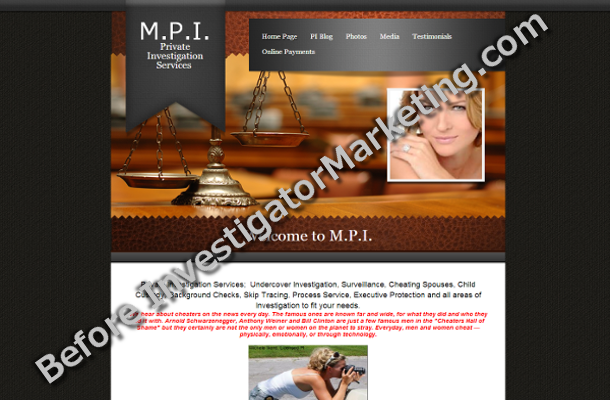 She opened up her website to the public in 2012 using a plug and play website builder offered through iPage. 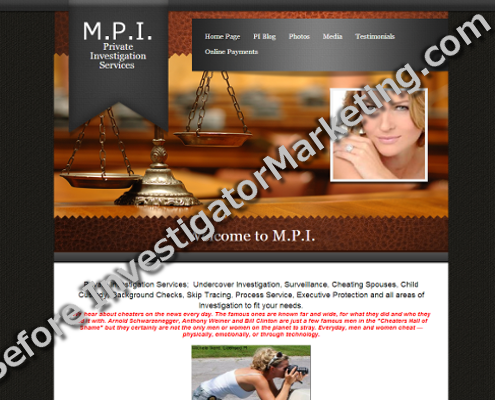 The only problem was that her website was not converting visitors into clients. To make matters worse, her SEO ranking was below par – 14th page. 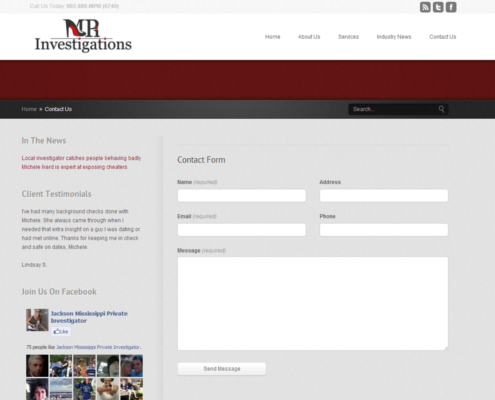 We were able to install a fresh website and added a Standard SEO package to the back end of her page. 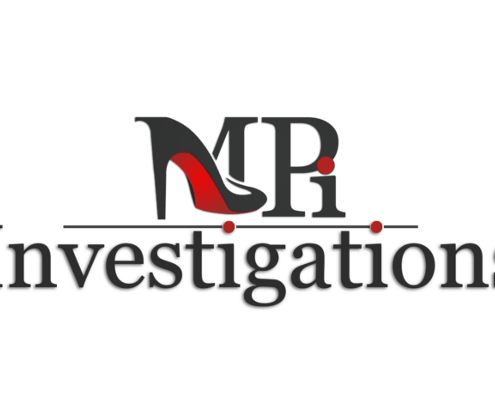 Additionally, we designed a logo to fit the look and feel of her website. 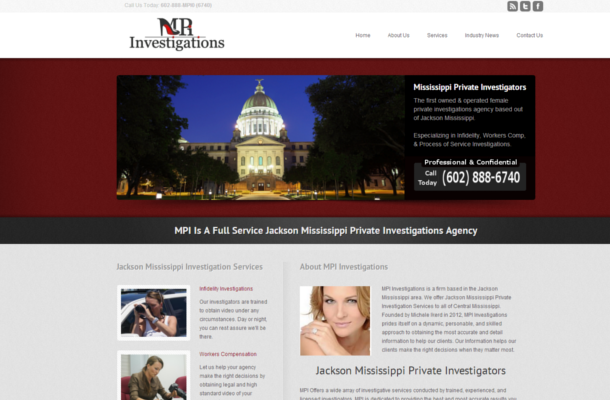 Prior to becoming the first female owned and operated private investigations agency in Jackson Mississippi, Michele was a Miss America contestant. 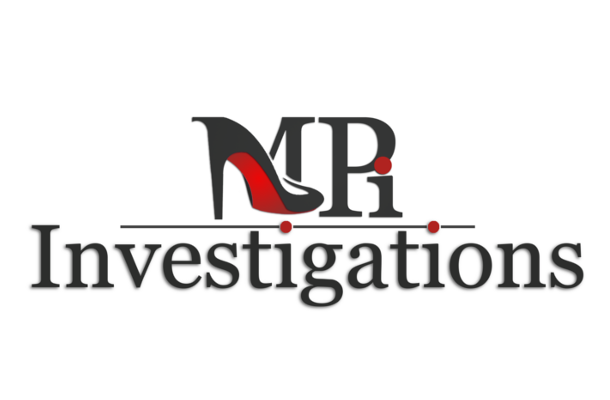 She wanted her logo to show that she was a Female Investigator, a Model, and Private Investigator. Two weeks later, we landed her page on the second place of Google, and it continues to move up the ranks on the weekly basis. To visit her website, check out this link.